The YWCA is 142 years old! 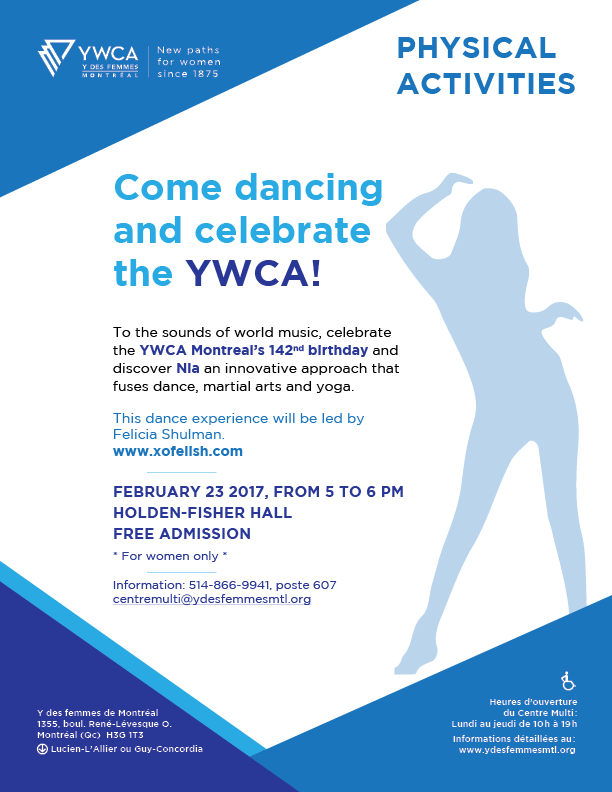 This February 23rd, come celebrate the 142nd anniversary of the YWCA to the sound of world music by discovering Nia, a holistic approach of the movement that fuses dance, martial arts and yoga! Not to be missed, on February 23, from 5 to 6 pm at the Holden-Fisher Hall. Come and see!